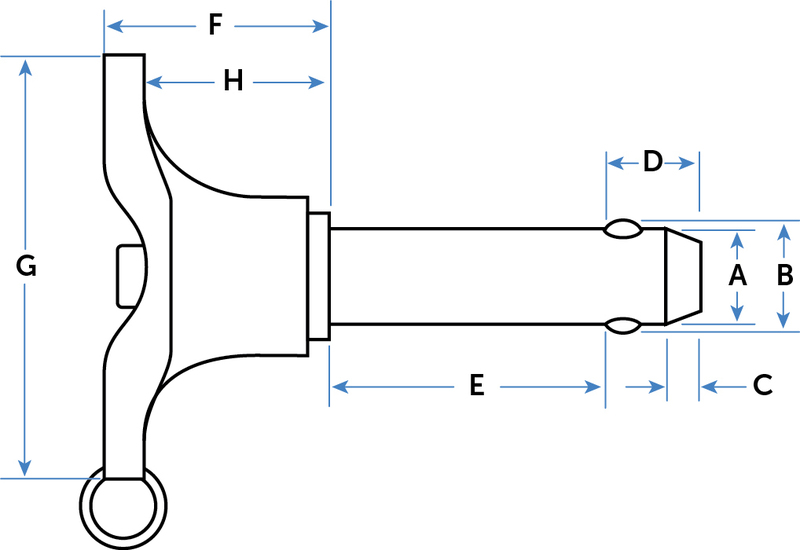 Ball Lock Pins are a very secure quick-release pin. They have a push button that initiates ball action and retraction, and can only be released by pushing the button. 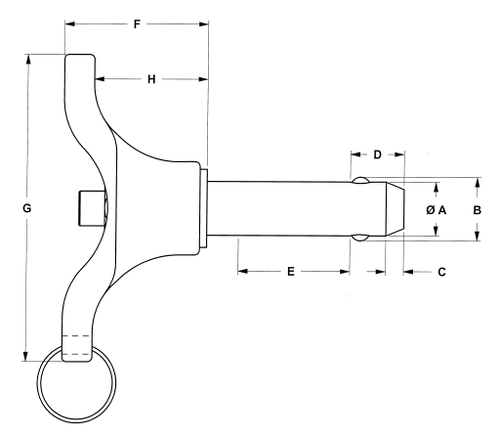 Ball Lock Pin design combines secure fastening with Quick-Release ease of removal. Steel Lanyards or Nylon Lanyards may be added as a low cost tether to prevent loss. Our “T-Handle Style” makes for easy use, especially in outdoor applications where a T-Handle works better with gloved hands. 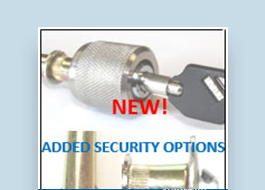 Other Ball Lock Pin options include our Standard Version - a simplified style that is less expensive and gets the job done, as well as a Key Locking Version for added security! Pivot Point’s Ball Lock Pin design features both a one-piece , cold formed body and one-piece spindle for increased durability. 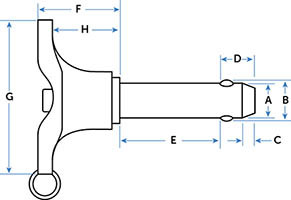 Ball lock pins are also known as positive lock pins, ball pins, double ball detent pins, push button pins, Quick-Release pins, quick pins and hitch pins. 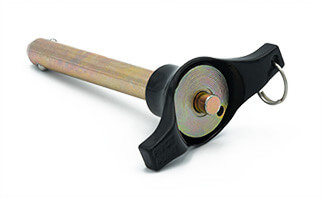 Stocked in heat treated alloy steel for strength and durability. Standard finish is Zinc with yellow Chromate. Other finishes available.